Sic 'em! Unleash the hounds with this K-9 shot of multi-colored stars with crackling chrysanthemums. A definite tail -wagger, this one will make you go bow-WOW! 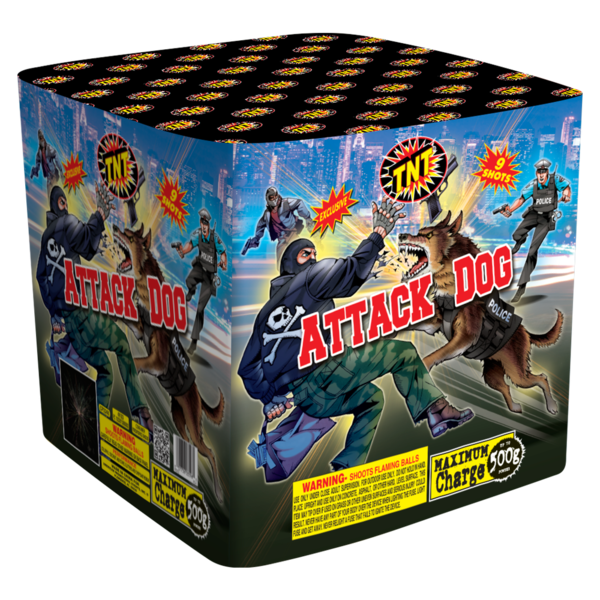 This product contains 500 grams of powder - the maximum allowed by law in the US! All TNT® Fireworks feature our renowned "No-Dud" guarantee! In the rare event of a non-performing item, your purchase price will be fully refunded. © 2019 TNT FIREWORKS. ALL RIGHTS RESERVED.